Online Radio Yo!Tuner is a huge collection of popular radio broadcasting stations, which is constantly updated and growing. It includes radio broadcasting stations of counties in Eastern and Western Europe, North and South America. Listen to the online radio and discover new musical directions. Here, you will find the most popular radio broadcasting stations: Q2 Music, WNYC, WQXR, WRTI, BBC, ESPN, Z100 and other well-known stations. The directory contains musical, conversational, children, news and religious radio broadcasting stations. * Favorites. Add interesting broadcasting stations in a separate list to quickly find the necessary wave. * Sleep timer. Activate the auto switching out, and you can sleep peacefully without worrying about flat battery. * Own radio broadcasting stations. If there is no favorite wave in the application, you can always add it by knowing the link to the stream. * Autoplay on launch. 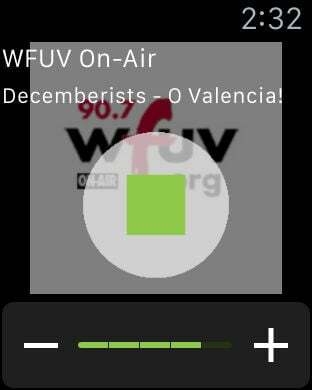 When launched the app can automatically play radio station that you listened last time. * Apple Watch support. You can stop and resume playback on your watch. Also you will see current song title right on your watch. Online Radio Yo!Tuner is one of the few applications you really need and that you can permanently install in your mobile device. Huge selection of music suited to every fancy makes the application to be a viable alternative to an audio player. Switch on the radio broadcasting stations according to your mood – Online Radio Yo!Tuner made sure that everyone can find something of their own. The app is localized now for english, german, russian and ukrainian languages. Join our community on VK (https://vk.com/yotuner, russian language) and Facebook (https://facebook.com/yotuner, english language). Support, FAQ and useful info provided here. If you are the radio owner or employee and would add your radio to the Online Radio Yo!Tuner app then you can email us by support@yotuner.com. If you have any other questions or offers please contact us by email. Using the application assumes acceptance of Terms of Service - http://yotuner.com/legal/en/agreement.html.